Calcium and magnesium as well as many other important trace nutrients are not only good for shrimps but also for all the other tank inhabitants as well as the water plants. For re-mineralising RO water or desalinated water, mineral salts are used that add exactly those minerals in the right amounts that are needed in order to raise carbonate and total hardness to the requirements of the animals that live in your aquarium. Minerals are not only important for the animals in the tank but also provide the plants with everything they need to grow well. 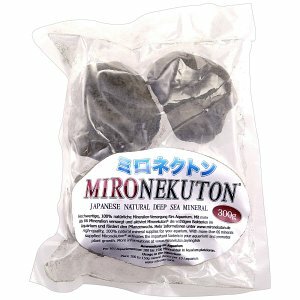 Thus it makes a lot of sense to add a small dose of these mineral salts every time you change a part of the water. 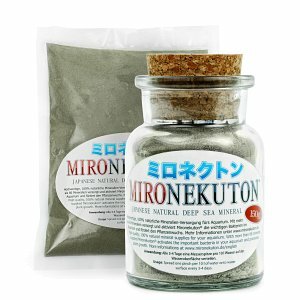 Thus many useful elements can be supplied by adding a pinch of a mineral salt ? a simple way to further an overall more vital growth of your aquatic plants. Be it shrimps, discus fish or other aquarium animals ? many of them need special water parameters. Mineral salts can specifically adjust the water conditions to their requirements and thus help the aquarium hobbyist to successfully keep these animals. Minerals fulfil a wide range of tasks in the aquarium. They play an important role in keeping the metabolic processes of bacteria, aquarium plants and aquarium animals running. Without minerals no nutrient utilization would be possible, without minerals there would be no growth in plants or animals, shrimp would suffer from moulting problems and deficiency symptoms would shape the picture. 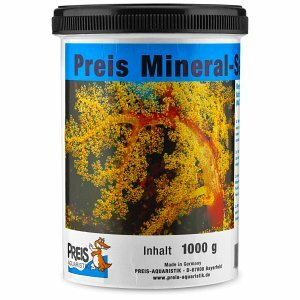 For healthy, splendidly growing aquatic plants with intensive colours and for vital, colourful fish, shrimp, crabs, snails and other aquarium animals you need a healthy mineral mixture in your aquarium. 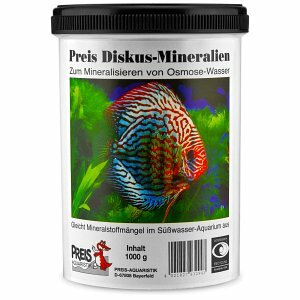 Especially if you have decided to use osmosis water or water from a demineralizer in your planted aquarium or aquascape, you need hardening salts that contain minerals to harden the water and to supply your aquarium with the vital minerals in a balanced form. 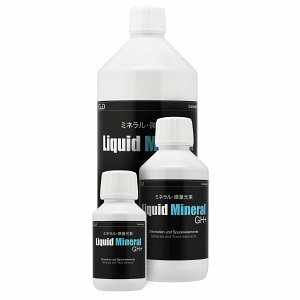 For this purpose you can buy various liquid and powdery mineral additives and hardening salts here in the Aquasabi online shop: Shirakura's Liquid Mineral Ca+ provides your aquarium with calcium, as does White Mineral Powder, which shrimp and crabs need to build a solid and healthy shell. With the Liquid Mineral GH+ from GlasGarten it is possible to specifically increase your total hardness without influencing the carbonate hardness, and with Minerax from Borneo Wild you can also specifically add minerals in a balanced mixture to your shrimp or plant aquarium. Seachem's pH reducer Discus Buffer ensures that the water is soft and that the pH is set and maintained at a level of 5.8 to 6.8, which is particularly important for discus fish. 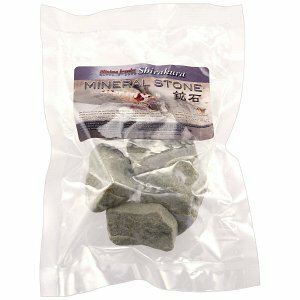 The very natural looking mineral stones by Mironekuton, Borneo Wild and Shirakura are simply placed inside your aquarium. 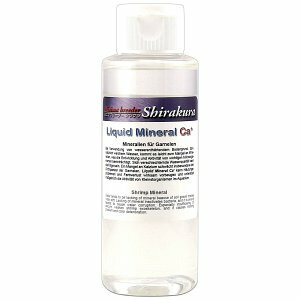 Here, the specific minerals needed dissolve by themselves. Shrimp and snails graze the mineral-rich stones with enthusiasm. Since dwarf shrimp in particular depend on mineral intake through their food, mineral stones are a valuable and important addition to the daily diet of your little crawlers.